Colour & B& W worksheet to practise have/has got. Beginner level. 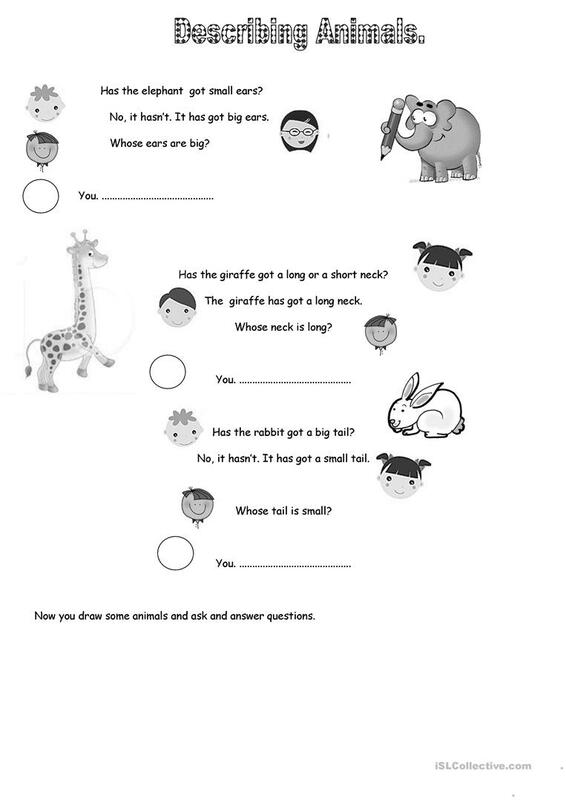 Students have to read and answer questions about some animals. They have to draw some animals and ask & answer questions, too. 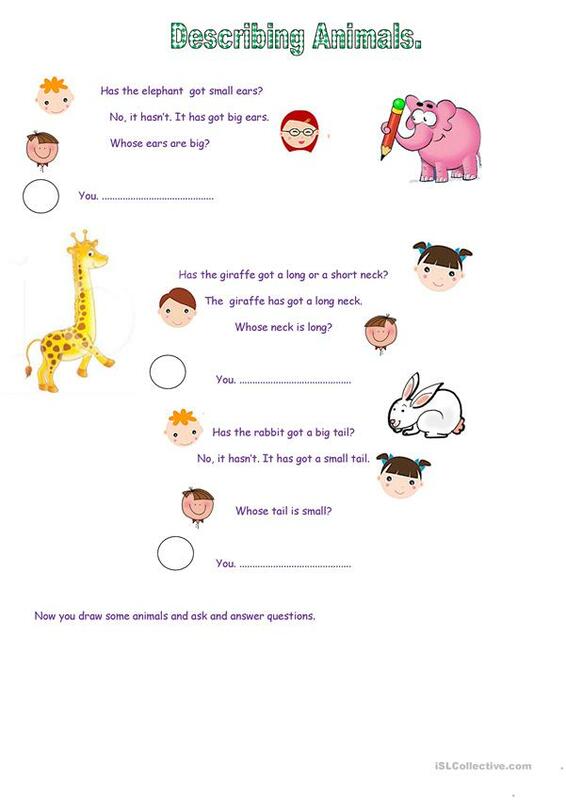 The present printable, downloadable handout was created for elementary school students, kindergartners and nursery school students and students with special educational needs, learning difficulties, e.g. dyslexia at Beginner (pre-A1) level. It was designed for honing your pupils' Speaking, Reading and Writing skills.